While Jan is in Norway Jessica led our meeting. 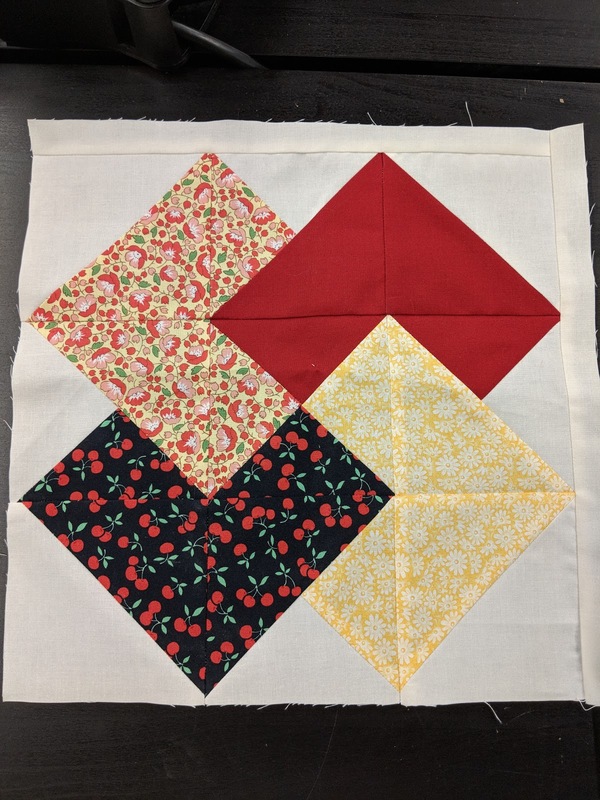 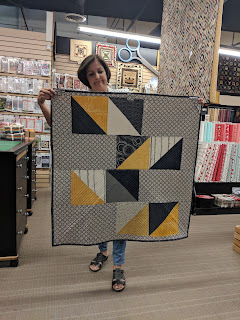 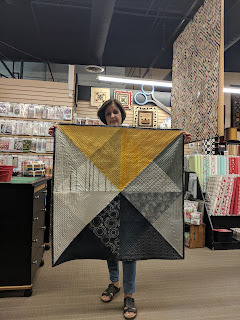 June's Block of the Month will be the Card Trick block and was done by Jessica. 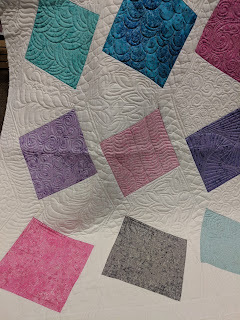 The BOM post can be found here. 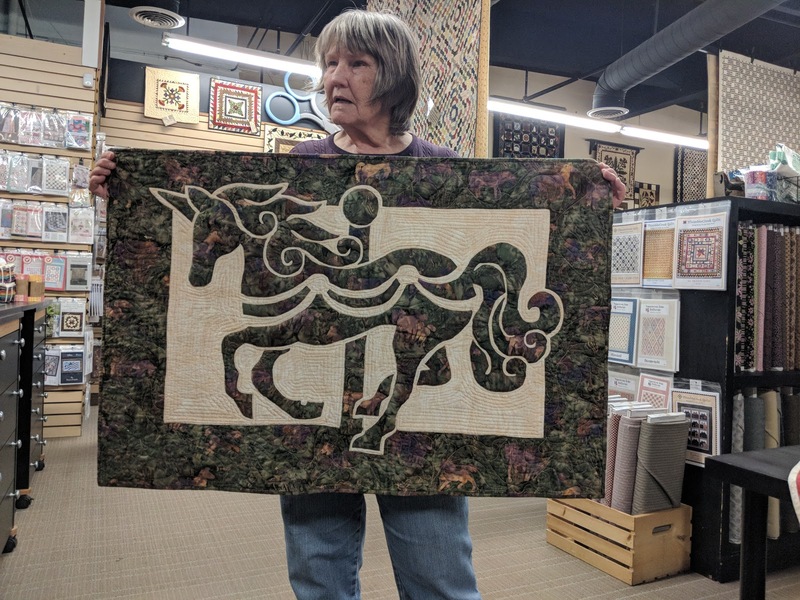 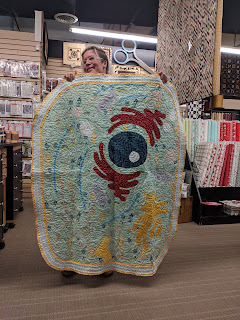 Nancy brought in her completed charity quilt top. 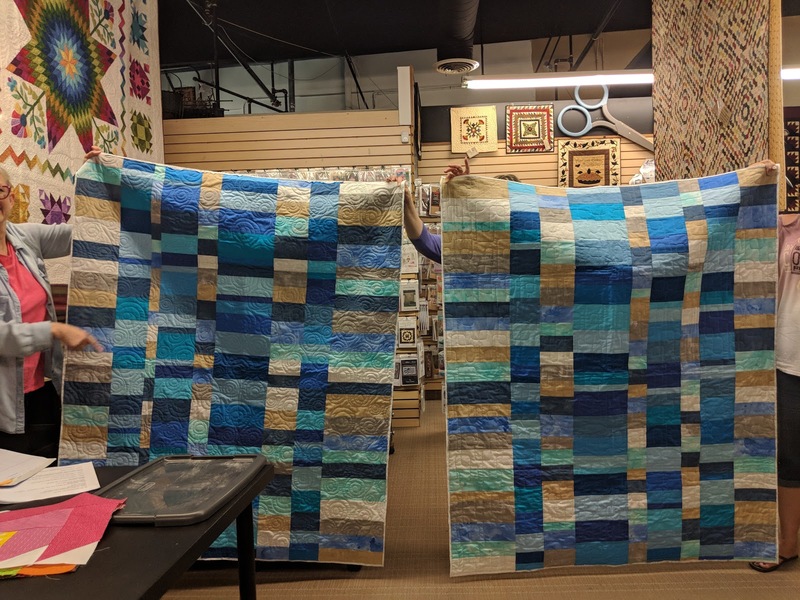 She also brought in 2 quilts she made from a stack of Moda fat quarters she had bought. 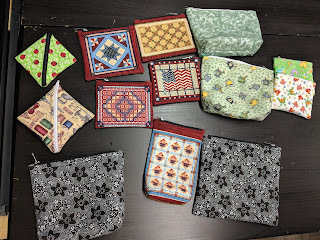 Sherry made these fun zipper bags she intends to sell. Taylor brought in a quilt she made for her class. 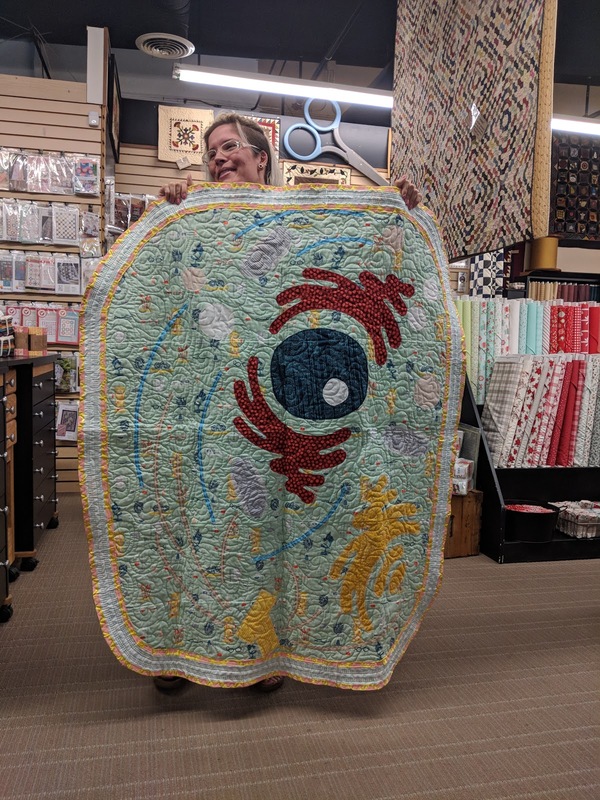 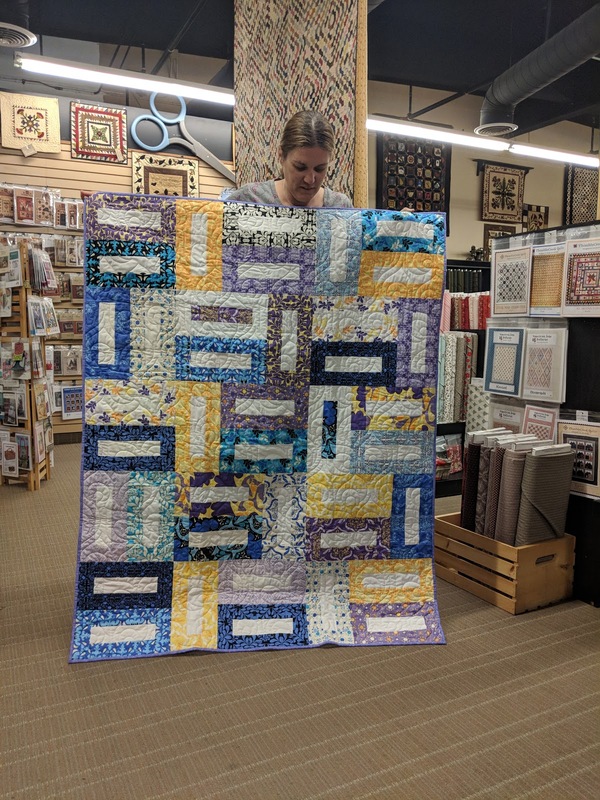 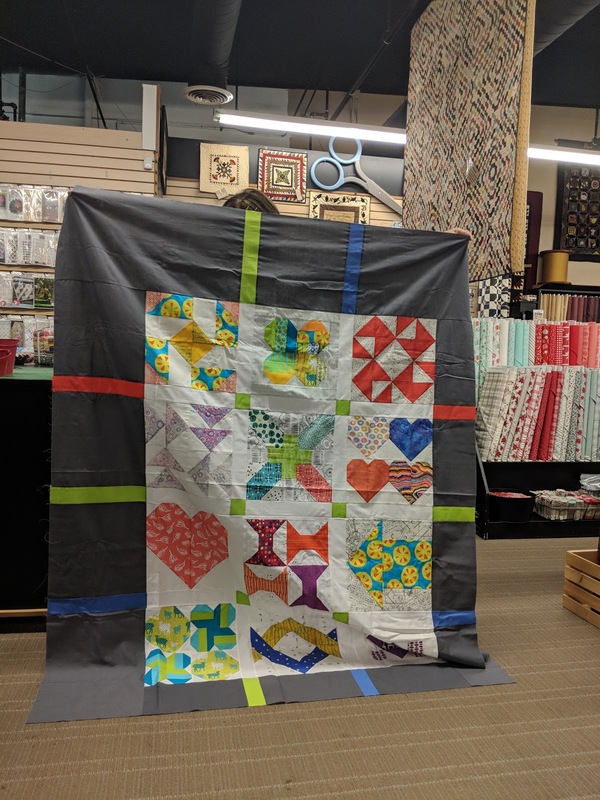 Her professor gave an assignment that could combine her class and a hobby, so she made this awesome Cell Quilt! 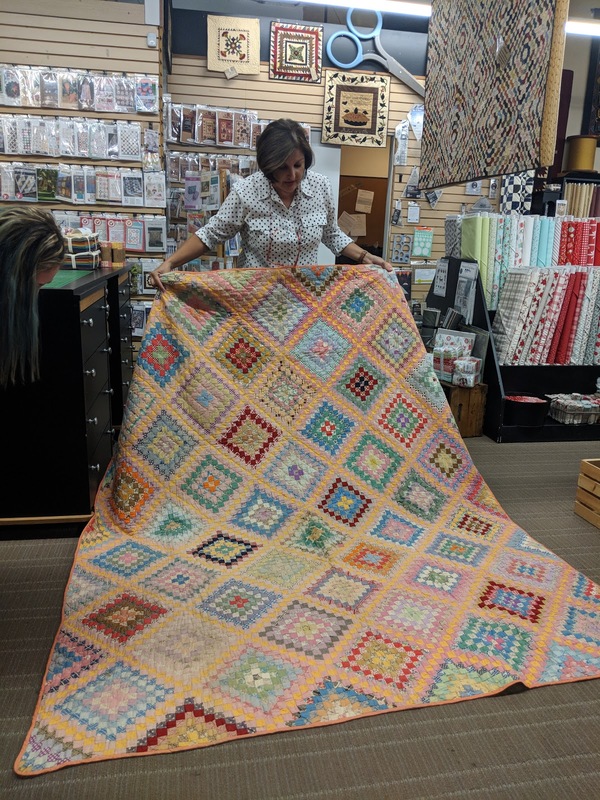 Susanne brought in her completed charity quilt top. She found a picture of this quilt she liked on Pinterest. 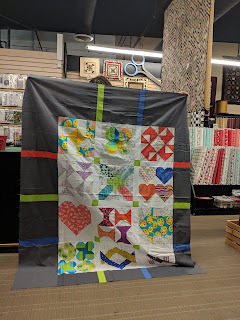 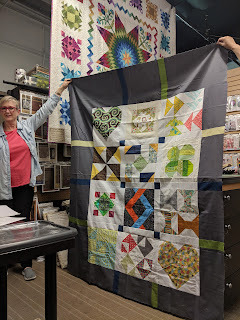 She traced it back to Patchwork Magazine but couldn't find the pattern, but she figured it out and made it for her house. 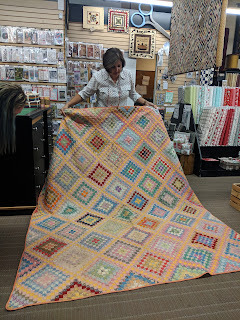 Her Mother in Law inherited this quilt from a great aunt. 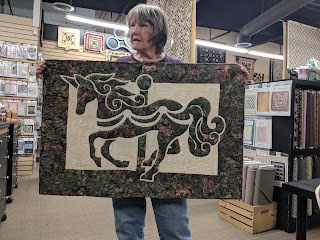 She is looking for help on restoring it. 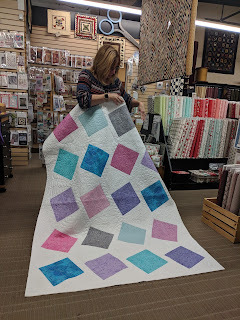 Sue made a quilt from a challenge from Angela Walters. Each of the blocks is quilted differently. 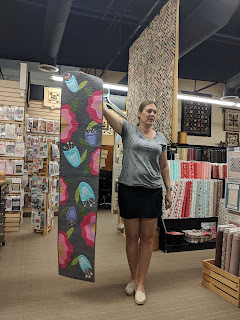 Manon made this from a leftover Jellyroll and the back was from an old quilt top. She made this sample from scraps. 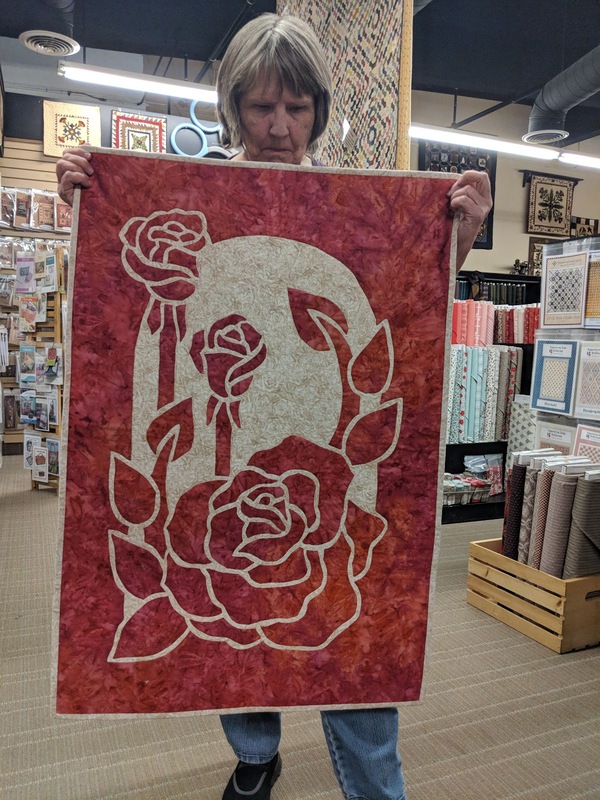 Linda made a 2-fabric applique hangings. 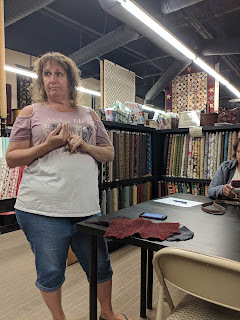 She will be doing a demo in September. If you're interested, you can go to www.parqc.com and search "2faq" for more info. 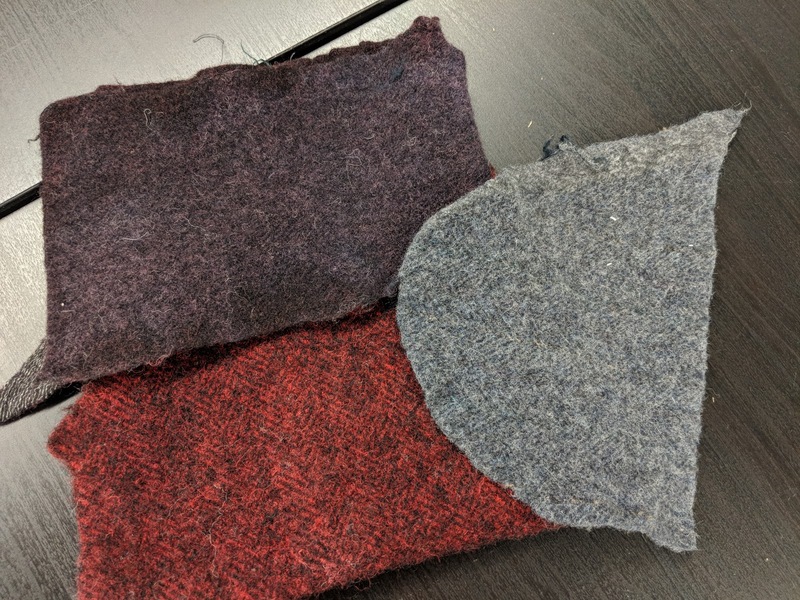 Wendy dyed these pieces of wool using sugar free packets of Kool-Aid and vinegar. 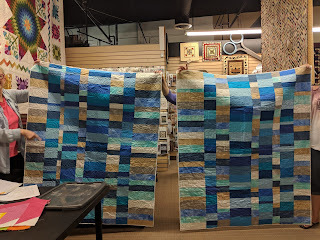 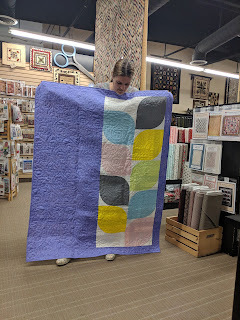 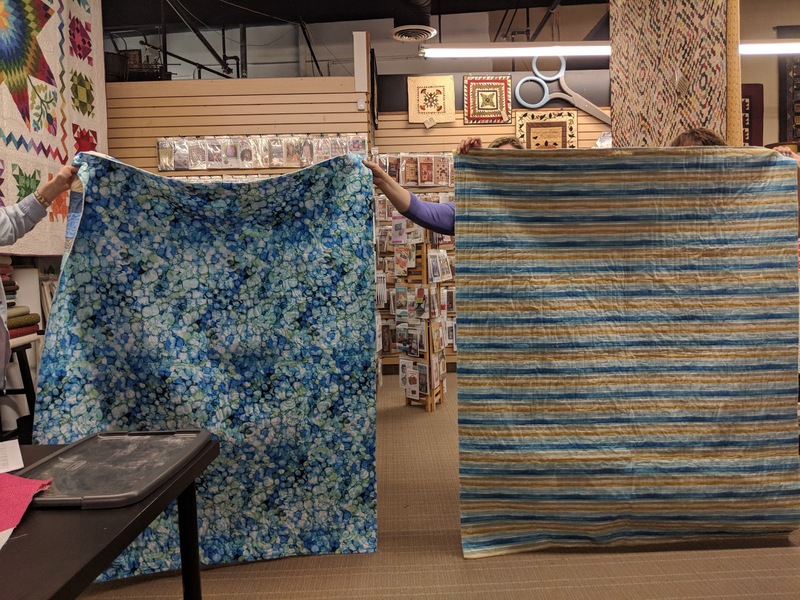 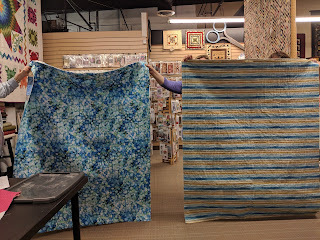 We need to start planning QuiltCon charity quilt and will need volunteers. June will be the charm pack challenge quilt, so don't forget to bring those in.